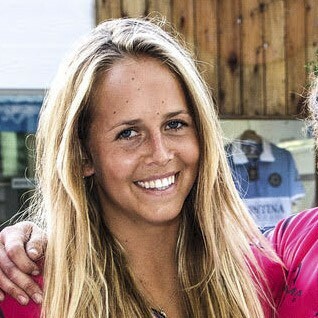 We interviewed the beautiful lady and strong women polo players, Naomi Schroeder. 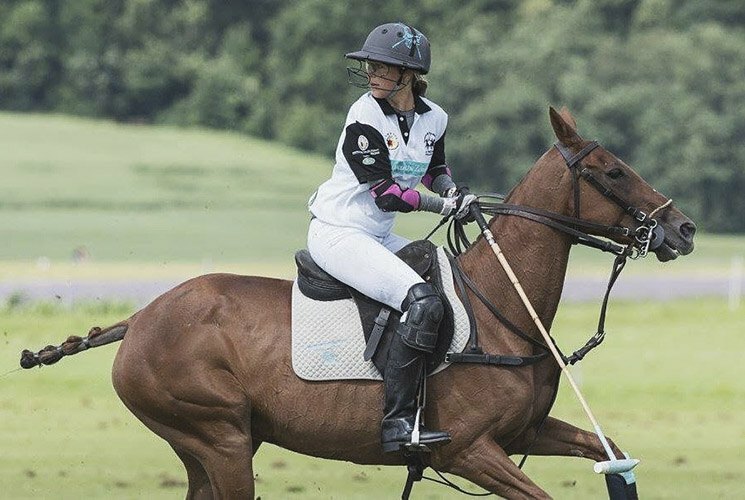 She shares with us her opinions and advice as the more we learn from such a talented players, the better our polo! Tell us a few words about yourself. Where were you born? Where did you study? What is your main occupation? I was born in Hamburg and also studied there because I had my horses there and I knew that if I would leave that playing Polo would have been much more difficult. So I stayed in Hamburg and studied Business Administration. As I fnished in summer I was able to do the argentine season this year and played some ladies and mixed tournaments here. My plan now is to maybe do a Master in London. I started playing because of my dad. When he started he straight away went to Argentina and bought 5 horses. One of them was for my sister and me and that’s how it all started. I first had to learn to ride so I took some classes and then just started stick and balling with our professionals Edu and Santos Anca. I wouldn’t say that it was difficult. For sure it was challenging but I had so much fun and got really addicted after stick and balling for the first time that I didn’t want to get off the horse anymore. The first tournament I played was a 6 goal in Aspern, which is a club close to Hamburg. I was 17 at that point and really enjoyed it. I played with Eduardo Anca, my father and a young boy from Hamburg and we won so I was really proud. How do you train? What is your training routine? I try to spend as much time as possible in the stables with the horses and grooms and try to ride and practice every day during the season. Sometimes it, of course, is difficult but I always try to make time for it as it is my passion. Of course, I always want to improve. But I also want to travel a bit more and play in different places to meet new people. Do you prefer women’s polo or mixed polo? Why? I like both but from my point of view, they are two completely different things. Mixed polo is faster and more open so sometimes it seems to be more fun. Women’s polo, on the other hand, can sometimes be really messy if you play against a team that doesn’t play too good for example. During the season in Argentina this year I realized though how much more competitive the women’s polo got over there. They are really far ahead from what we play in Germany or also in France where we always play the French Open Feminine in September. The girls in Argentina are very well mounted and play really well, so I really enjoyed the season over there. Of course I always want to improve. But I also want to travel a bit more and play in different places to meet new people. 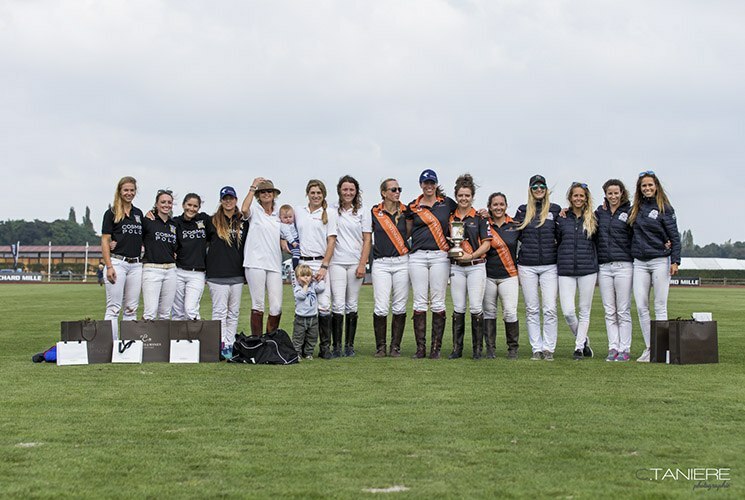 I think the women’s polo needs some more support and should grow together a bit more so that the girls worldwide are more connected. I was honored of being part in an exhibition game of the FIP which we played in the beginning of December 2016 in La Ensenada. Like the Ambassadors Cup, they do for the men they want to start doing the same for the girls and I think it’s a great idea. Like this the girls get more connected, are able to travel, play in new countries and meet new people. People still see the women’s polo as a “strange” polo. Some polo clubs still say that its pathetic. Do you think it’s a fair reaction? Do you think that women’s polo is really as weak as they say? No as I already said before I don’t think its weak at all. 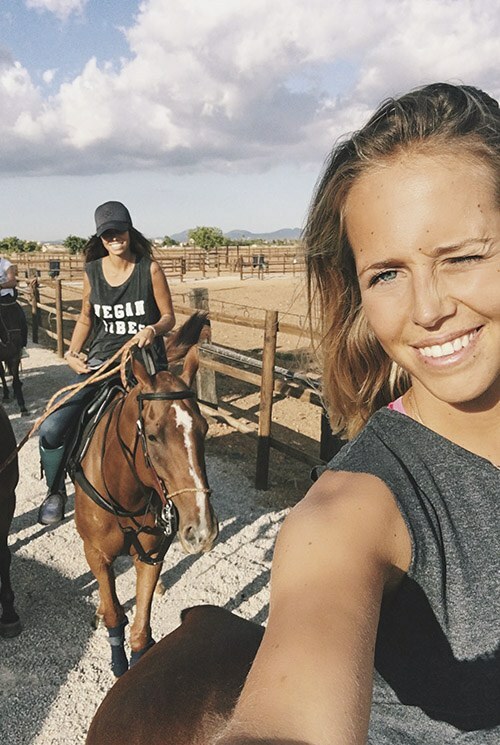 The women’s polo is improving a lot everywhere. Argentina is the best example and I witnessed it while playing this season, because before that I played the last time in 2012 and the quality of horses and players changed tremendously. Some games we played were like playing a 6 goal mixed tournament in Germany. And Lia Salvo for example even managed to win the Jockey. 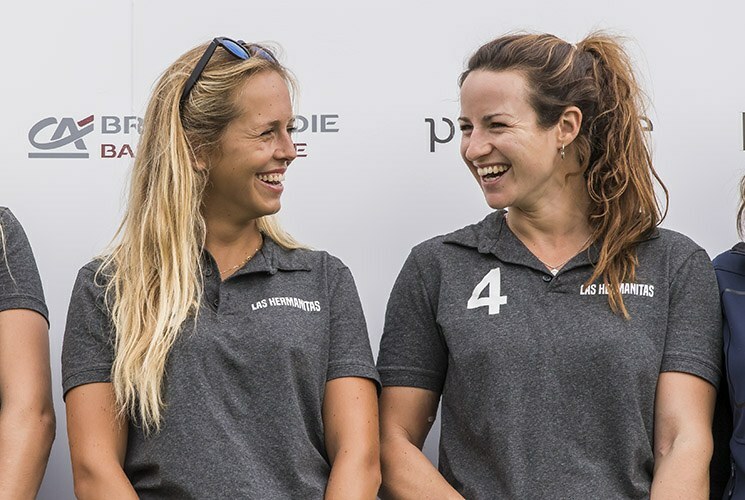 We ask everyone these questions, as we would like to support women polo players: many women say there is a lack of respect from men during the mixed practice/tournament. What advice do you have for them? Most polo clubs declare that polo is only for rich, what do you think? The image that polo is only for rich is what the sponsors and spectators make out of it. Of course, it is a very expensive sport but most of the people that play polo are down to earth and nothing like the people watching the games from the VIP tents with champagne in their hand. The polo players drink Mate all together and have asado in the stables and are very relaxed and easygoing people. 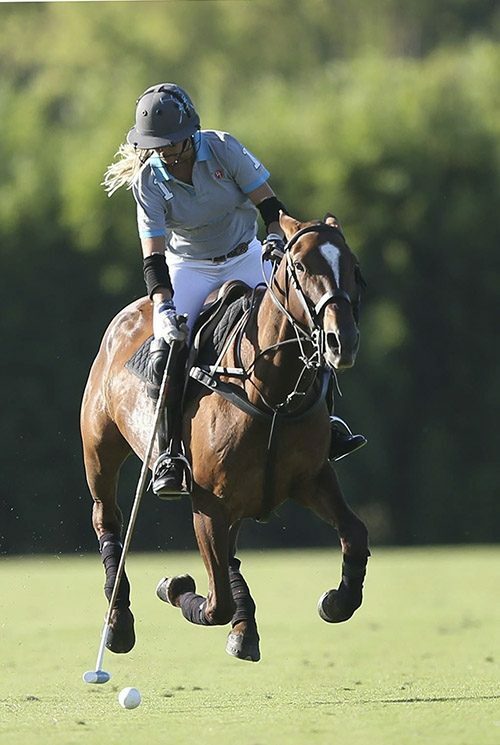 Most women in polo ( that is about 90%) are not professional players and they play for fun. They work from Monday to Friday and have kids. So for them, the only possibility to play and to train is at the weekend. Do you think they still have a chance to achieve something in polo? For sure they do. I think it’s a question of attitude. If you want to make time for training and playing there always is a way. I was studying Business Administration the last 3 years and in June/ July when we play the German High Goal tournaments I always had the hardest exam period. I often had exams on Friday and Saturday mornings, played Friday afternoon though so the only possibility to study that I had was during the night and it works. If there is a will there is a way. Many women say that they stick and ball day and night, but they cannot improve their polo….What advice would you give to women for stick and ball? What exactly should they do to train? What really helped me was to stick and ball with the professionals because they can actually explain how to hit the ball perfectly and which position you have to have on the horse while hitting it. And then you just have to keep practicing all the different hits there are and not give up until you hit the ball the way you want to. Also, stick and ball in speed because in a game you also don’t go galloping. On top, I watch as many polo games on my laptop as possible to see the moves of the players and therefore get a better overall overview. I really enjoy playing with men. It’s competitive and fast but also really fun. And to be honest all the guys I play with are mostly very nice and pleasant to play against. Even in the 16goal Palermo Polo Tour that I played in 2013, they respect you if you are an active player on the field. So overall I really enjoy being a woman in the men’s world of polo. 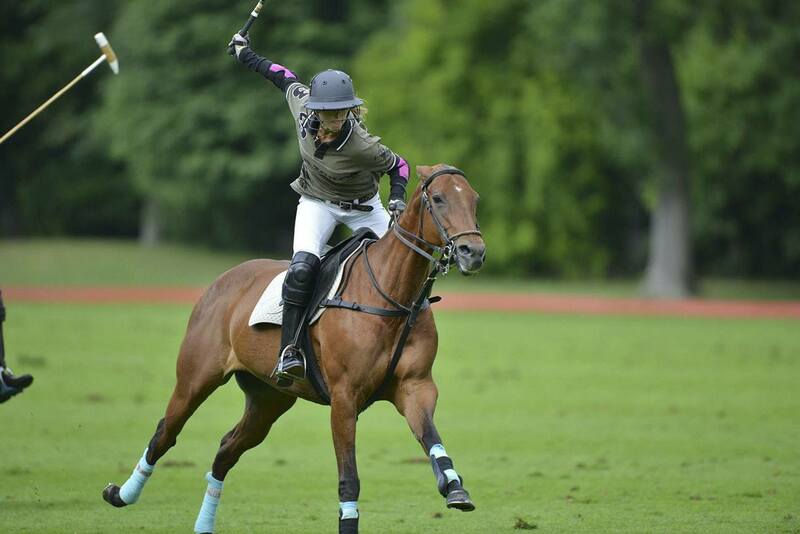 What is polo for you: hobby or hard work? Well in the first place it, of course, is my hobby but to become better you have to put a lot of work into it. Although I wouldn’t say it’s hard work for me because I just really enjoy every second I spend on a polo field or even just training the horses. 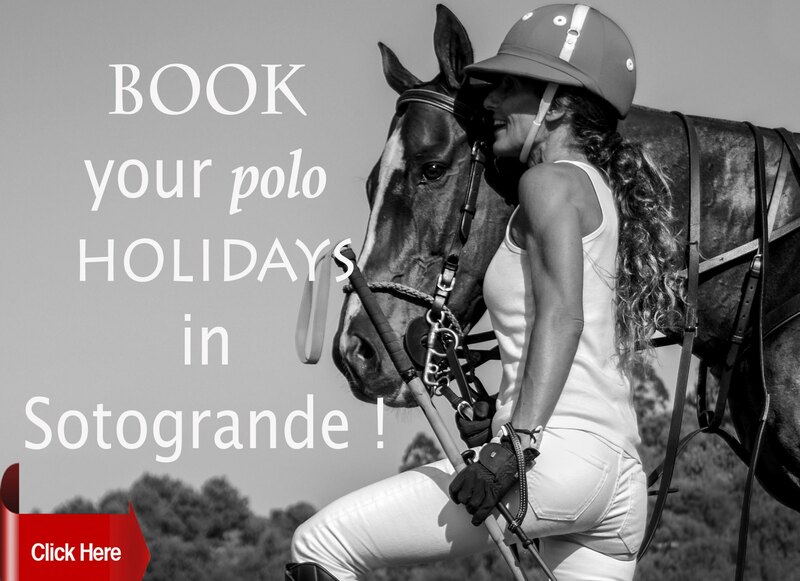 During the Off- polo-season, women in Europe do not have a chance to practice polo. We don’t have many arena polo clubs in Europe and the weather doesn’t allow us to play. Many women go to Argentina, But the most still stay here. What could you advice them how to keep up training and improve their polo during the off-season? Well, one important thing for sure is to at least keep riding because already just riding helps you to improve. But yes it is difficult to play during the Off-Season, so if you somehow have the chance to go to other country for 2 weeks or so and play some practices that are always a great way to keep up. The other possibility, of course, is to play Snow Polo. What do you do except polo? Do you run any business apart of polo ? do you study? Do you practice different sport? I just finished studying so now I am trying to figure out what I want to do next. I really want to build up something on my own that preferably is associated with polo. I go to the gym a lot and sometimes I if I have time in the summer I play some Tennis. I used to play a lot but because of polo I don’t really find the time for it anymore. It definitely is a team game. If a player of a team tries to do everything by himself it is very unlikely for that team to win anything. Do you travel a lot? Where would you like to be the most and why? Yes, I try to travel as much as possible and I love it. Seeing different places fascinates me. I can’t really tell where I would like to be the most because there are a lot of very nice spots in this world. But to be fair Argentina and Ibiza have taken a huge spot in my heart. Where do you like to play women’s tournaments most of all? What were your favorite tournaments and favorite polo memory? Since a couple of years, I always play the Open de France Feminin in Chantilly which is a really nice women’s tournament to play. But the experiences I mad this year in Argentina playing ladies polo were also very positive. The game is faster and more open than most of the European women’s tournaments because there are more good players and the quality of horses is also a lot better from my point of view. You often play in a team with Hazel. Tell us about your team. Yes, I love playing with her. She is not just an amazing player, she also knows how to motivate the whole team and became a really close friend of mine as well. She just has the whole package you need for having fun on and off the field. Do you have the sponsors for your team? We don’t have an actual sponsor but my sister and I just started our own team at the end of the European season so by next season we will be playing everything under LAS HERMANITAS. There are a lot of nice polo brands. I did our new team shirts and helmets with Cavalier this time and I’m really happy with the result. What are your polo plans in 2017?